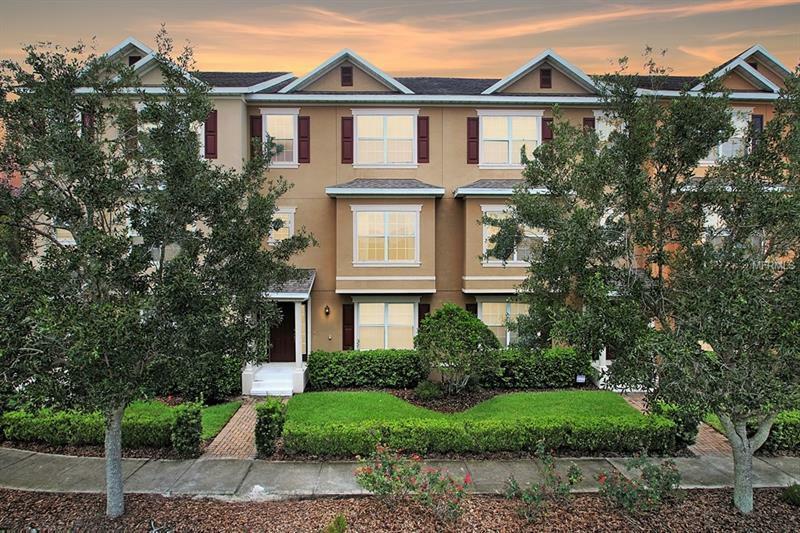 Immaculate 3 level townhome. First level bedroom/office has a full bath and closet. Engineered hardwood flooring throughout 2nd floor. Large living room and separate dining room. Kitchen has breakfast bar, stainless steel appliances, granite counters, and a pass way to the dining room which makes serving meals a breeze. Covered balcony off of dining area. Master bedroom has a California closet and attached master bath with dual sinks and a separate tub and a glass enclosed shower. There are two additional bedrooms and a full bath on the third level. Community has a pool, cabana, and playground. Home is conveniently, located close to shopping and restaurants and access roads.